Now available with optional 13- and 14-speed creeper gears, the new mDRIVE™ HD provides flexible gearing for low-speed applications, as well as improved startability for heavy loads, while maintaining proper gearing for fuel efficiency at speed. 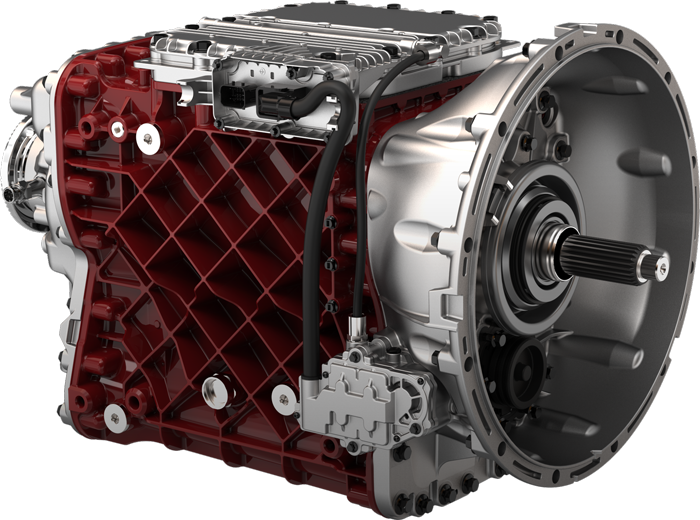 Mack’s mDRIVE™ HD is now engineered with two additional low gear ratios for vocational work, plus multi-speed reverse gears for more startability, maneuverability and flexibility in low-speed applications. So no matter the job, you’ve got the ability to dominate. Grade Gripper holds the truck on an incline for up to three seconds after the brake pedal is released. So there’s no dangerous or awkward rolling backwards when stopping on a grade. Part of our legendary integrated powertrain, mDRIVE™ HD works seamlessly with Mack engines and axles for better efficiency, more uptime and lower costs. mDRIVE™ HD is automated, and that means less physical stress on drivers. So they can finish the job strong and stay focused. Even though it’s built strong, mDRIVE™ HD is hundreds of pounds lighter than the competitors, so you can ditch dead weight and increase your payload. Standard gear shift strategy. Tuned for maximum fuel economy. A feature package targeting livestock haul and recreational vehicle applications and similar applications where load shifting must be minimized. It revises the AMT’s shift strategy to provide smoother launches, less aggressive shifting and more gentle driving. Targeting vocational vehicles such as construction and heavy construction. Includes the Performance Mode for best performance and driveability in exchange for fuel economy. Kick-down pedal for best acceleration and performance. Premium gear lever with “Perf” button and gear selection buttons. Performance mode maximizes gradeability and improves starting and shifting in rough or hilly terrain. A more aggressive shift strategy than “Bad Roads” for heavy haul applications with more performance-oriented shift points, less skip shifting and more. Recommended to be used with Titan Heavy Haul over 80 metric tons / 176k lbs. The Granite’s lightweight chassis can carry heavy loads while staying nimble, and its Mack® MP® engine is powerful and fuel-efficient, creating an unflinching truck built with true grit. 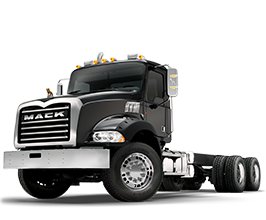 Find a Mack dealer near you.